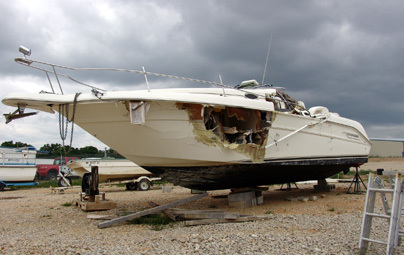 Boating Accident Investigators | Marine Surveyors – Hunter Consulting & Survey Services, Inc.
Marine damage surveys are to assess the extent of damage and the proximate cause of a vessel related accident. The survey is specifically focused on the damage and its affect on the value of the boat. 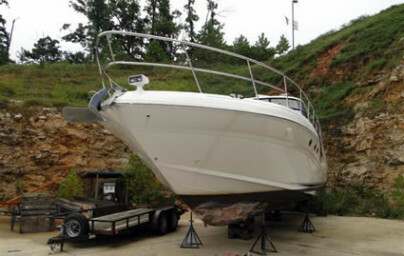 The surveyor examines and reports on the condition of the boat, the probable cause of the damage, recommended repairs, and an estimate of the cost of such repairs. Accident reconstruction is a branch of causation forensics which involves determining how and why an accident happened. It is accomplished first by carefully interpreting the clues left by the remaining physical evidence of the accident, then by reconstructing and studying the events proceeding, during, and following the accident. J. Michael Hunter is the Principal Investigator and Surveyor of Hunter Consulting & Survey Services, Incorporated of Springfield, Missouri. The firm maintains a primary specialization in Accident Investigations, Claims Investigations, Accident Reconstruction, Litigation Support for the marine field and Infra-Red Thermography. Michael Hunter is CERTIFIED MARINE SURVEYOR BY NATIONAL ASSOCIATION OF MARINE SURVEYORS (NAMS-GLOBAL), an Accredited Marine Surveyor by Society of Accredited Marine Surveyors, Certified Marine Investigator by International Association of Marine Investigators, Certified Marine Master Technician by American Boat & Yacht Council with certifications in Composite Boat Construction, Marine Electrical, CORROSION, Marine Systems, DIESEL ENGINES and Marine Standards. In addition, he is a certified Level I Infrared Thermographer in Mechanical and a Certified Level II Infrared Thermographer in NDT (Non-Destructive Testing) emphasis in Marine Composites/laminates. He also holds a certification from the American Gear Manufacturers Association in Gear Failure Analysis. Hunter Consulting & Surveying Services offers a wide variety of services when consulting on marine accident investigations. Whether you require an expert witness for court cases or litigation or require expert analysis, Hunter Consulting & Survey can be of great assistance. The most comprehensive type of survey undertaken is a pre-purchase survey which involves a full inspection of the vessel and its equipment, including the basic machinery. This survey is commonly used to evaluate a vessel prior to purchase, but the survey will also satisfy marine insurers and banks when a valuation is required for reinsurance. Infrared Inspection avoids costly destructive testing, as well as reassure all parties involved, that all damages have been identified. No longer do we need to start with ‘cutting holes’. Infrared imagery can provide photographic evidence as to the extent of damages. Hunter Consulting & Survey Services can provide an Experienced Independent Adjuster for large loss handling of marina fires, weather related losses and damage claims for catastrophe losses. 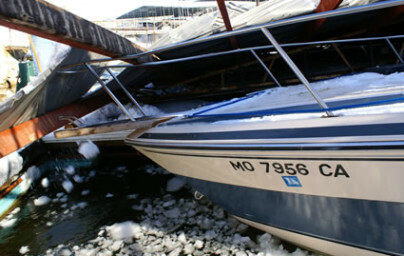 Large loss handling by experienced marine knowledgeable adjusters ensures the proper handling and control of the matter.